Catrin Coffin, works for Falkland Conservation, lives on the Falkland Islands, and as the book opens, she is out at sea, diving off her boat, collecting sea urchin samples, when she sees an elephant seal killing a young fur seal in seconds. She admires the quickness of the kill, and the ruthlessness. Could she kill something as easily? When she returns, as she pulls into her usual mooring at the harbour, someone is waiting for her. A three-year old child called Archie has gone missing, and the police want to know if she has seen any unknown vessels out at sea. Is this new disappearance linked to those of two children of about the same age who went missing previously? Fred, about two years ago, and then Jimmy about six months later. Has this third missing boy been taken by the same person? Search parties are organised, and Catrin is asked to lead one of the teams in the search to find him. Catrin has two boys of her own that are no longer there, Ned and Kit. She is clearly still raw with grief, and her thoughts about killing someone relate somehow to how they died. And have something to do with someone called Rachel, the woman who used to be Catrin’s best friend, until she somehow killed Rachel’s sons three years ago. She left them alone in a car, which went over a cliff and they were killed instantly. But why would she do this? Ben, a medic, and now her ex-husband, had rung her to tell her the news. Was he somehow responsible too? 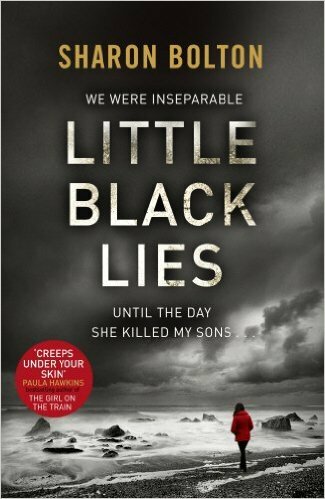 As the story progresses, slowly the truth emerges about Catrin and how her sons died. Her reasons for her hatred for Rachel start to become apparent, and how now she is slowly starting to plot her own revenge, driven by her desperate grief. However, as she is drawn into the search for the third missing boy, she becomes distracted, we sense that this search will turn into a something more, something that will somehow link back to her own life in some way, and lead to some kind of resolution. The first inkling of this starts with what she and Callum Murray discover on an old ship just out to sea; the Endeavour, which is close to where the boy went missing. Callum is an ‘incomer’, a Scotsman who fought in the Argentine conflict, and then bought a cottage close to Stanley after leaving his regiment, shortly after the conflict ended. Involved in the search, he thinks the boy might be hidden on the Endeavour, as it’s close by but out of everyone’s way, and persuades Catrin to go and look with him. 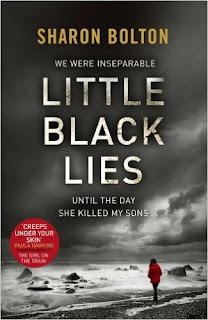 LITTLE BLACK LIES is an intriguing book, which weaves in the backdrop of the Falklands Islands very effectively. There is a strong sense of the isolation, the rawness of nature, and the small close-knit community which all play into the story. Catrin is a strong, determined character, well embedded into the local community and yet at the same time she also feels very isolated. Various tales of Catrin’s life, her experience with her father with a whale out at sea, and the desperate plight of the beached whales on the Falklands, and how she has to deal with that, ring true. Her grief at the loss of her children and her happy family life as a result are played out slowly. The secrets that people kept from her, and the clues that she didn’t pick up on as events first unfolded, gradually become apparent, as she slowly pieces together the truth behind the death of her children, and the mystery of the missing boys. An excellent read, that I very much enjoyed. Is Catrin definitely called Catrin Coffin in the UK version of the book as Michelle reports in this review? I've no reason to doubt Michelle but I ask to clarify because I'm listening to the US version via an Audible download and she's called Catrin Quinn and I'm confused as to why there would be a name change. One of those strange publisher demands? I've not got the book but is Quinn her married name and Coffin her maiden name? The kindle sample mentions a Grandpa Coffin.